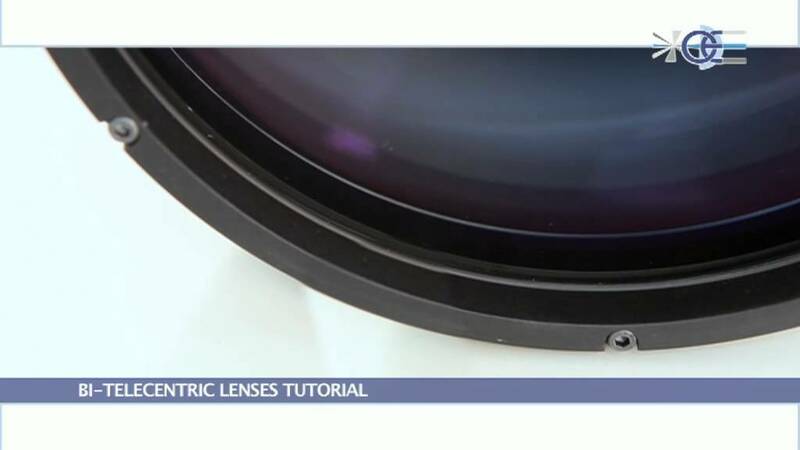 The Opto Engineering TC SM Series is a unique family of bi-telecentric lenses for extremely accurate 3D dimensional measurement systems. All TC SM lenses are equipped with a high-precision Scheimpflug adjustment mechanism that suits any type of C mount camera. Besides achieving very good focus at wide tilt angles, bi-telecentricity also yields incredibly low distortion. Images are linearly compressed only in one direction, thus making 3D-reconstruction very easy and exceptionally accurate. The available magnifications range from 0.5x to 0.1x while the angle of view reaches 30°-45° to meet the measurement needs of triangulation-based techniques. The Scheimpflug mount is pivoted around the detector plane to ensure excellent pointing stability and ease of focus.